I'm sure I've already mentioned the frequency I eat eggs. It's often. I love eggs. The first time I had a quail egg was in Thailand. 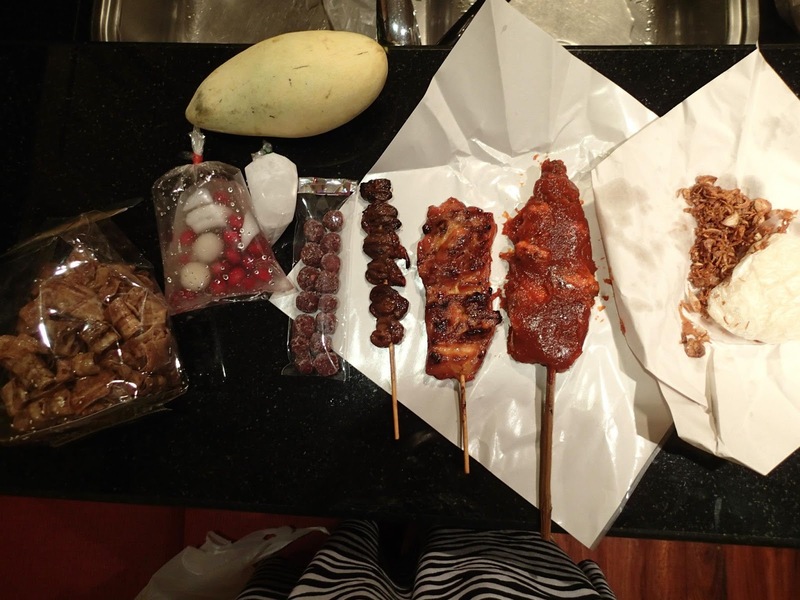 Doug and I were on our honeymoon, perusing a street market looking for dinner. So much of the food looked and smelled unfamiliar which was thrilling. But more than once, something we had thought was foreign turned out to be a familiar ingredient that had just been prepared in an unrecognizable way. In those circumstances we had conversations that went something like this: "So, do you think that's a meat or some kind of a fruit?" [cautiously take a bite] "Oh, it's a potato." Somehow, that was an equally exciting discovery. At one point, we came across a stand selling fried hard-yolk quail eggs with a light squirt of that fermented, southeast Asian staple: fish sauce. I swear, fish sauce over there is like Franks over here. It goes on everything! I liked the salty addition, but the powerful flavor overwhelmed any delicate flavors of the egg itself. I made a mental note to try quail eggs on my own sometime back in the states.